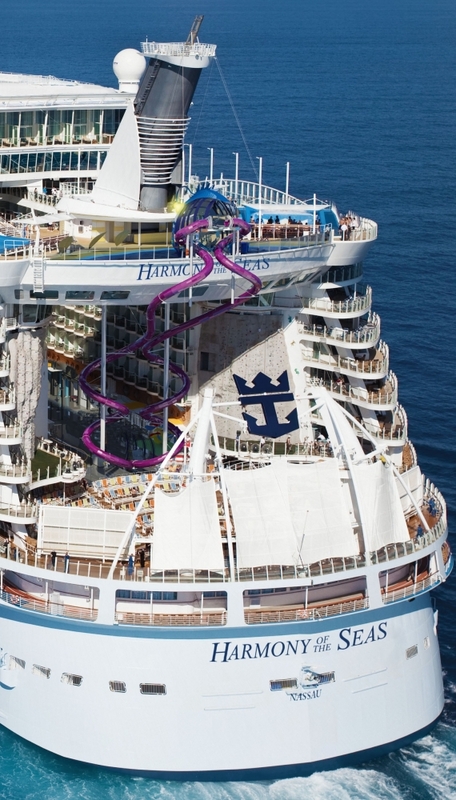 As one of the most anticipated ships of 2016, Harmony of the Seas will be latest ship in the Royal Caribbean International fleet, as well as the largest cruise ship in the world. 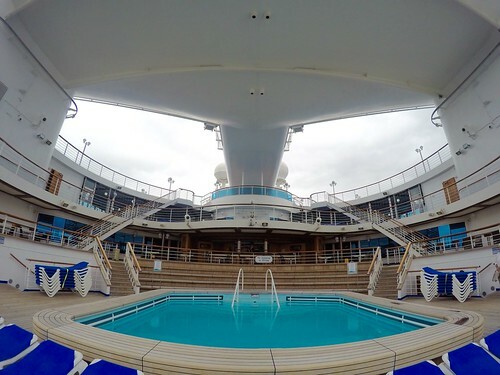 Building on the successful DNA of both the Oasis class and Quantum class of ships, she will represent the ultimate embodiment of the Royal Caribbean brand. The Royal Promenade, arguably the heart of the ship, is made up of a three story indoor promenade with bars shops and restaurants. 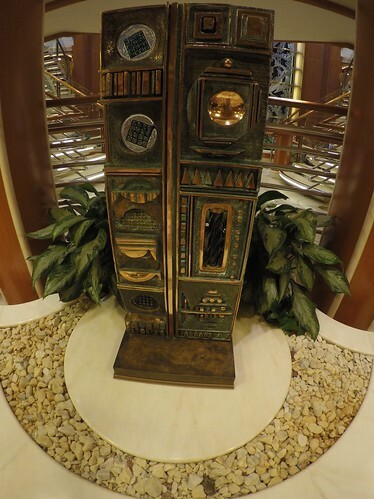 The centre piece to this is the Rising Tide bar which travels between the Royal Promenade and Central Park. On Harmony the Promenade will be enhanced with a new Bionic Bar, featuring robot bar tenders, together with the introduction of a Royal IQ area, a smart concierge area and app that enables travellers to plan their holiday more efficiently. 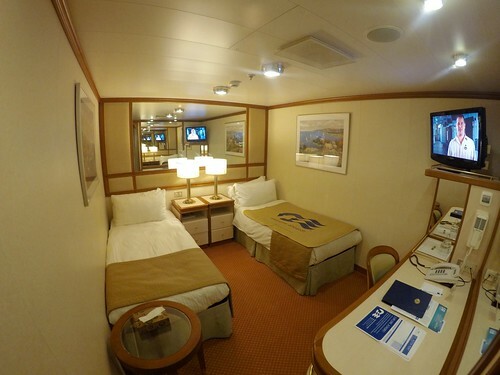 With this in mind the ship will also feature VOOM high speed internet throughout. 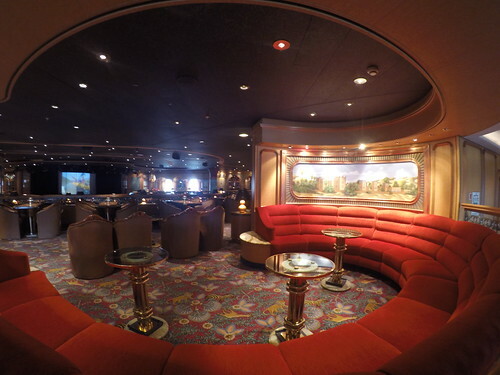 Central Park, an outdoor living park carved through the split structure of the ship. It features some of the signature restaurants of the line, together with up-market boutiques. Harmony will also feature Jamies Italian by renowned chef Jamie Oliver. Overlooking the Boardwalk, Dazzles Nightclub will make a return, together with a two-tier expanded Wonderland restaurant. First introduced on Quantum of the Seas, Wonderland is described as ‘imaginative cuisine’ where you are invited to take a culinary journey through a post-modern style of cuisine categorised by theme rather than course. The Pool and Sports Zone features a number of different themed pools, as well as a whole host of activities such as a zip line and two flowrider surf simulators. Perhaps the most visible changes will be seen in this area, with Harmony featuring The Perfect Storm, a trio of water slides for guests to enjoy. They will be accompanied with a new interactive kids water park dubbed Splashaway Bay. Finally, at the very aft of the ship will be The Abyss, a 10-storey helter-skelter style dry-slide that will propel guests from the Pool and Sports Zone down to the Boardwalk. 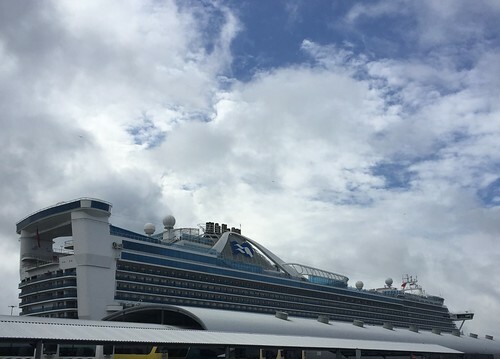 The Boardwalk will also make a return on Harmony, again making use of the split structure of the ship. Like her sisters, Harmony will feature a handcrafted carousel, restaurants, bars and shops, together with two rock-climbing walls. She will also feature the lines mexican restaurant, Sabor. Also making a return is the Aquatheatre, an amphitheatre at the rear of the ship featuring diving, acrobatics and water based performances. For those who like to be pampered, relax and keep fit, the Vitality at Sea Spa and Fitness Centre will make a return on Harmony. 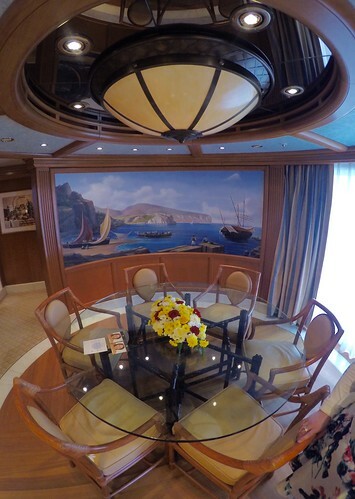 The adults-only solarium at the very front of the ship will also be enhanced and enlarged. 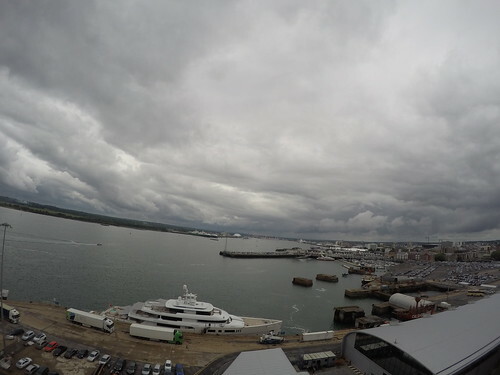 As with her sisters, Harmony will feature one of the largest Youth Zones at sea, including a nursery and facilities for kids and teenagers of all ages. 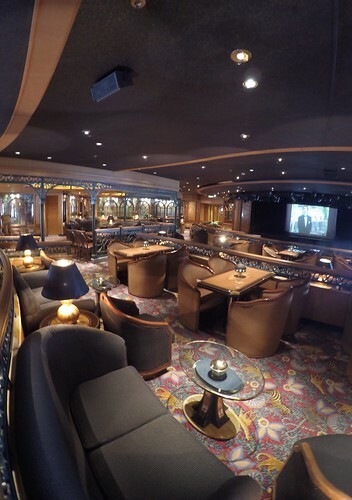 Finally, Entertainment Place features the ship’s main theatre, as well as an ice skating rink, the casino, and smaller venues for jazz and comedy performances. It was announced by Royal Caribbean that Grease will be the headlining show in the main theatre. 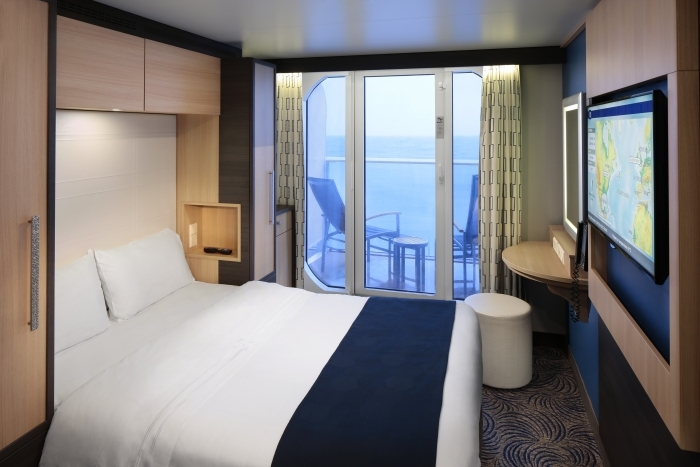 Staterooms on board will take their cue from the Quantum Class, with darker richer colours and enhanced amenities such as USB sockets and more storage throughout the cabin. 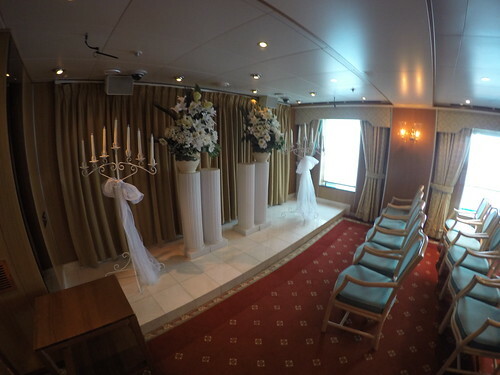 The ship will also have the Suite Class experience and whilst it has not been announced formally, suites on board will no doubt take a similar cue on the successful designs for the Quantum Class by interior designer Genevieve Gorder. 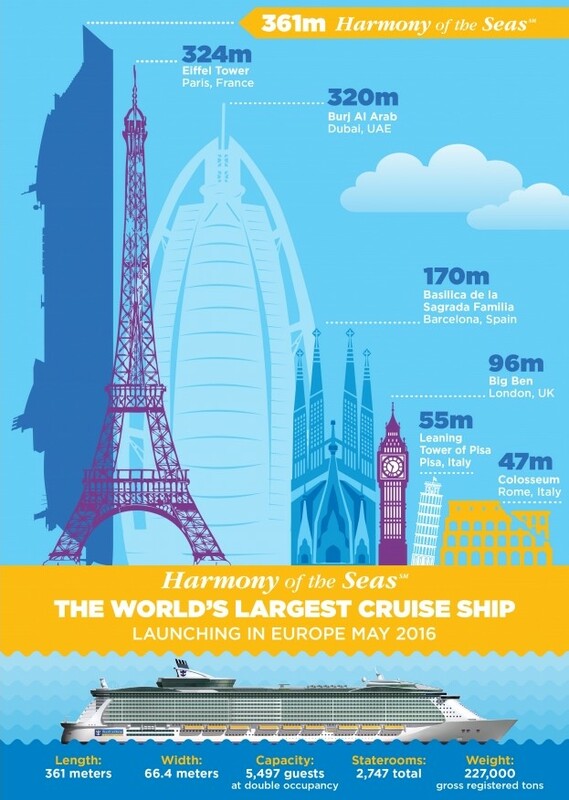 Harmony of the Seas will debut in Southampton in May 2016, followed by a summer European cruise season June through October 2016 from Barcelona, Spain. She will then reposition to Fort Lauderdale, Florida with year-round Caribbean 7-Night Eastern & Western sailings starting November 2016. 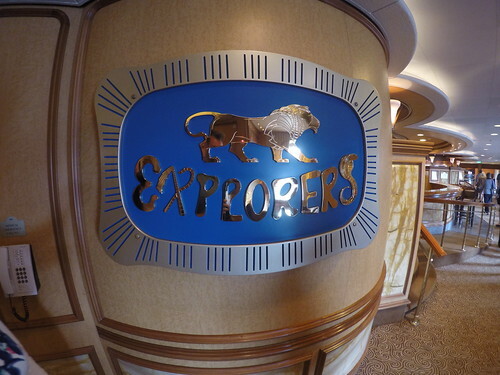 Blog cruise, harmony of the seas, new build, new ship, news, royal caribbean international. permalink.